2. Read instructions before you begin working. 3. Conduct yourself in a responsible manner at all times. 4. Wear goggles when appropriate. 5. Never eat or drink in the lab. Never drink or eat from laboratory equipment. You never know what was in the container before you used it. 6. Clean up all messes immediately. 7. Keep your desk and lab area organized. 8. Dispose of and replace all materials properly. 9. Know the location of safety equipment. What safety guidelines are these students following? 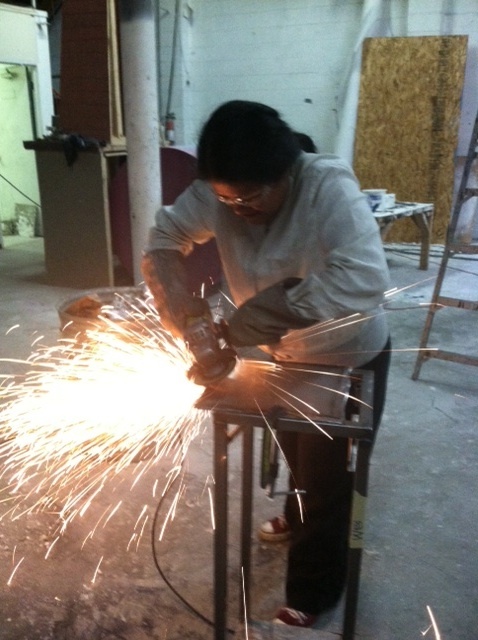 Mrs. O'Brien always wear safety goggles when grinding a weld. Protect your eyes. You only get two.